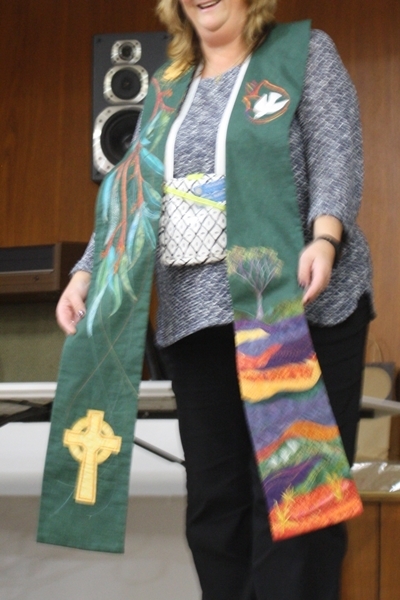 The August meeting incorporates both the August monthly and annual general meetings. 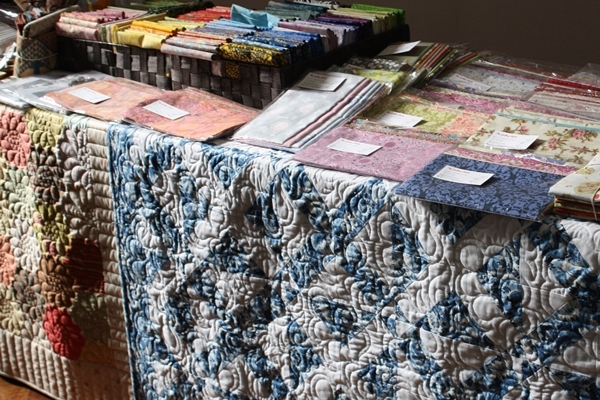 87 members and 7 visitors attended the August monthly meeting. 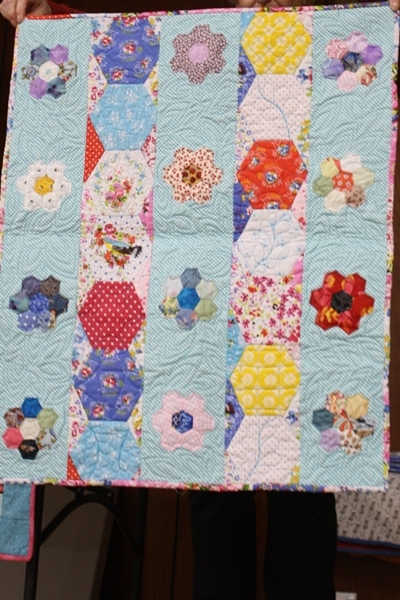 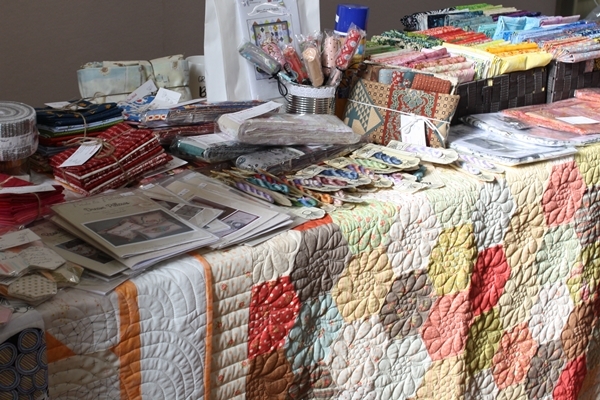 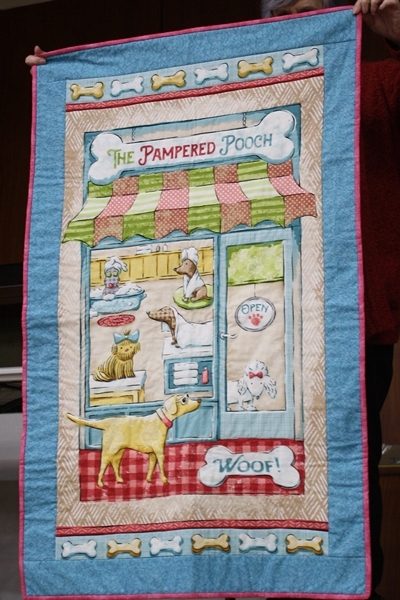 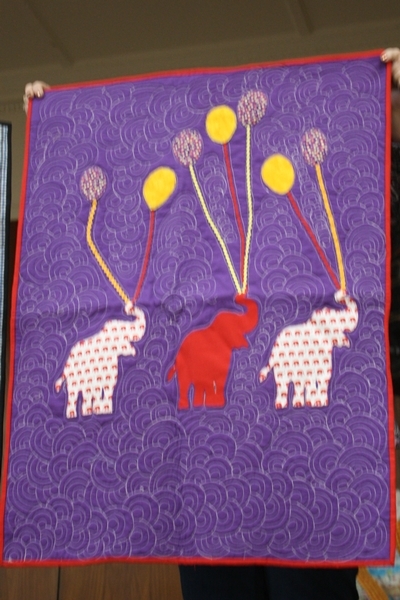 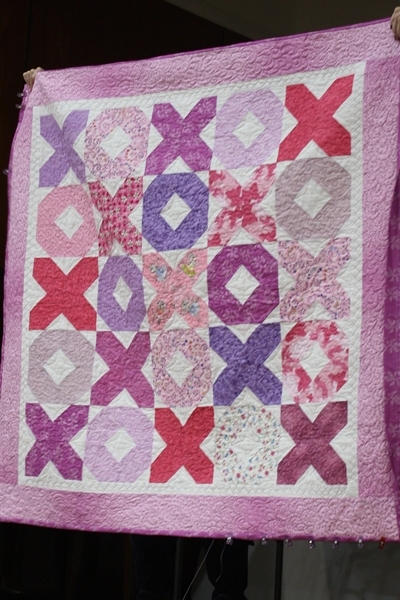 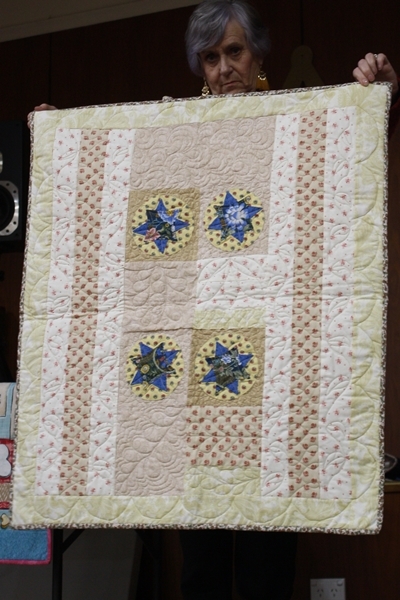 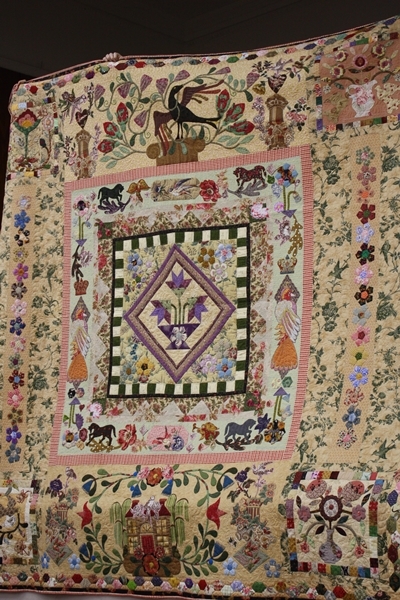 The shop was provided by The Quilters Patch which offered a very interesting range of patterns and fabrics. 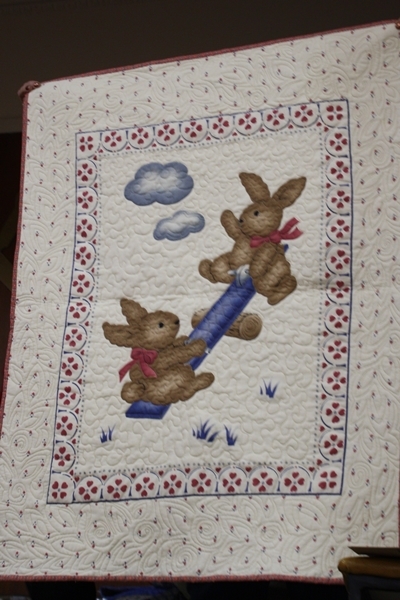 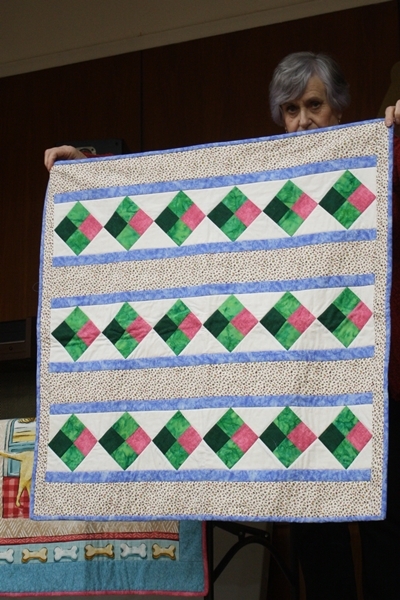 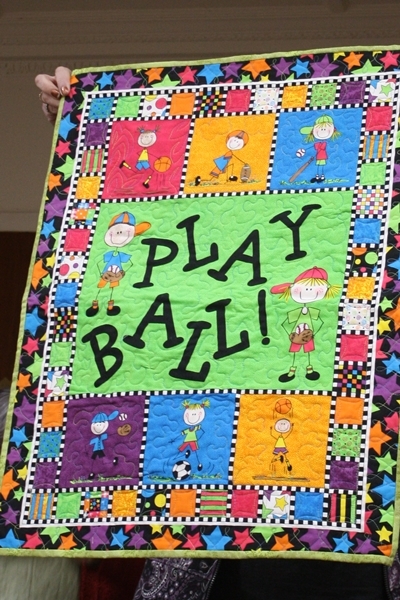 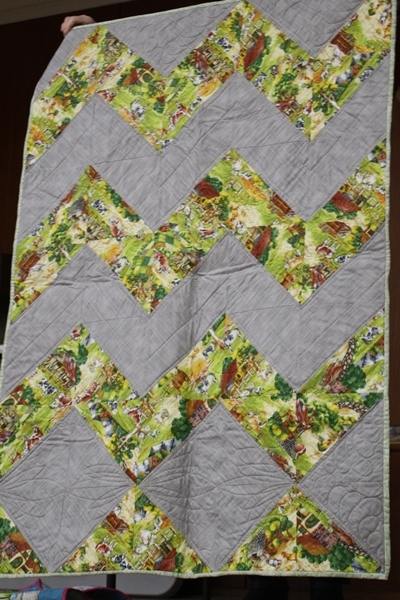 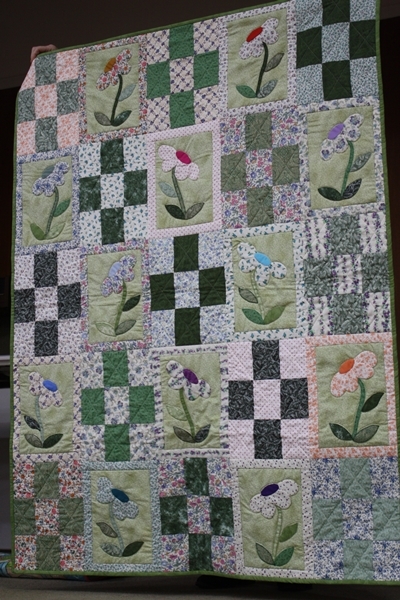 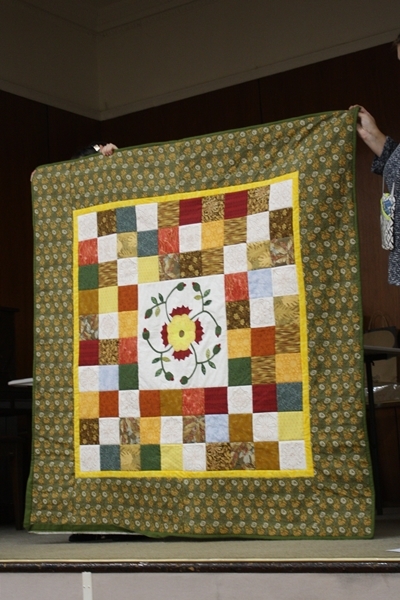 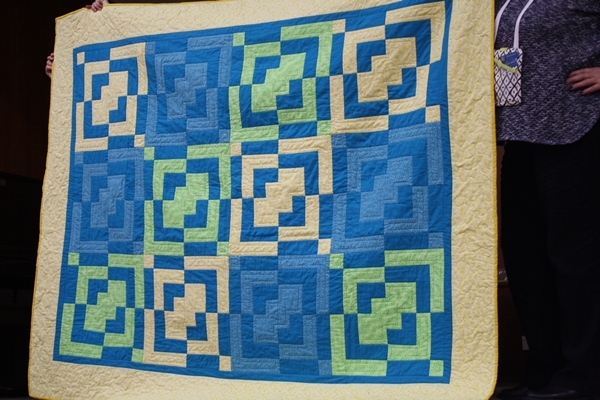 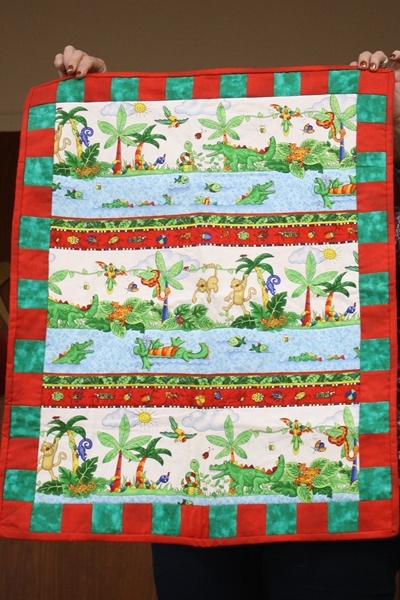 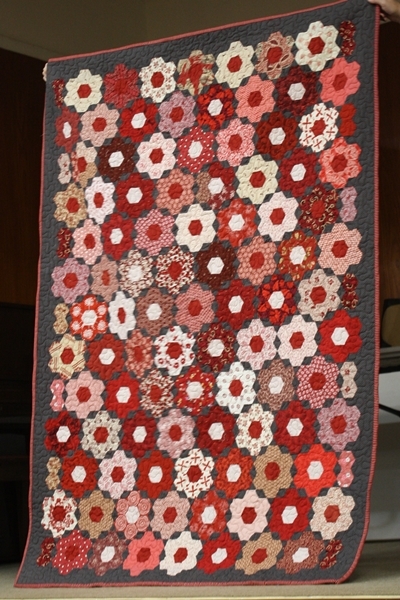 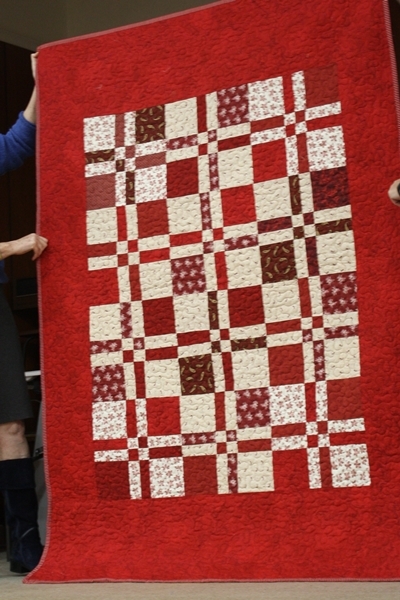 The August speaker was Linda Collins, well known to the members from her work with Quilts in the Barn. 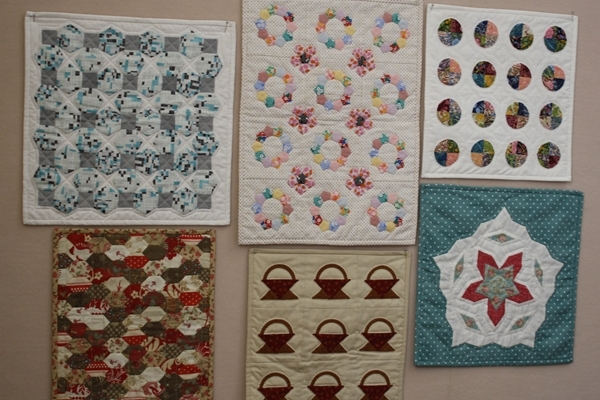 Linda displayed a stunning range of quilts: some were antique quilts and there were also a large number created by Linda. 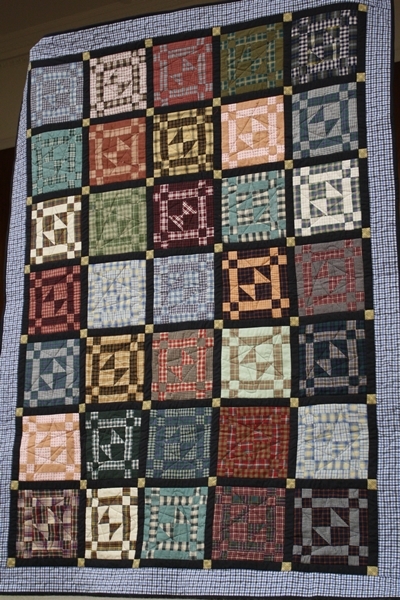 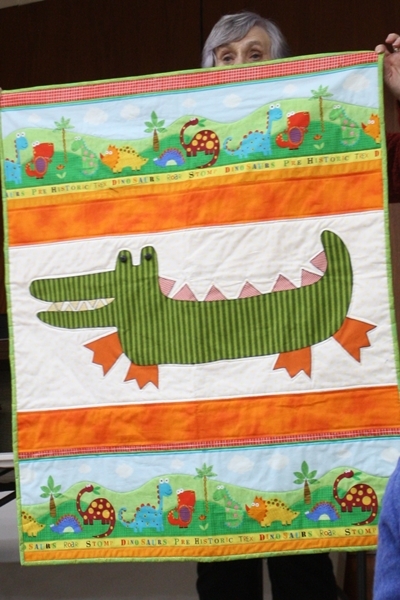 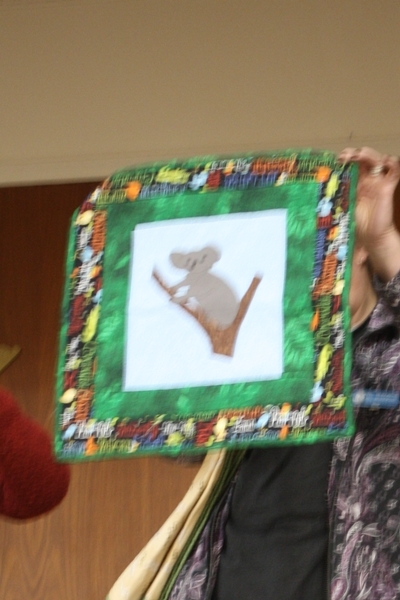 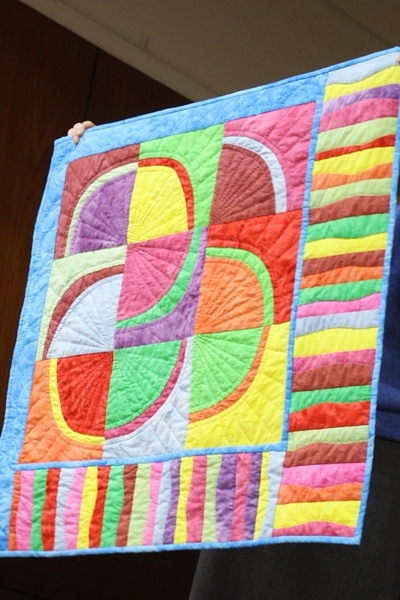 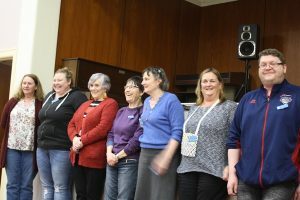 The meeting expressed sincere thanks to Alison Nixon for the wonderful work she has done in coordinating the work of members in producing such a large number of quality quilts for those in need. 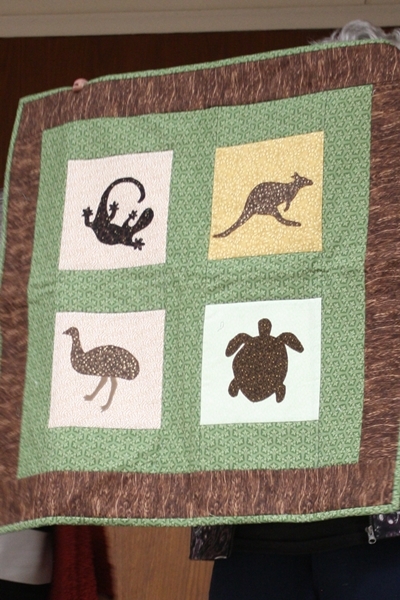 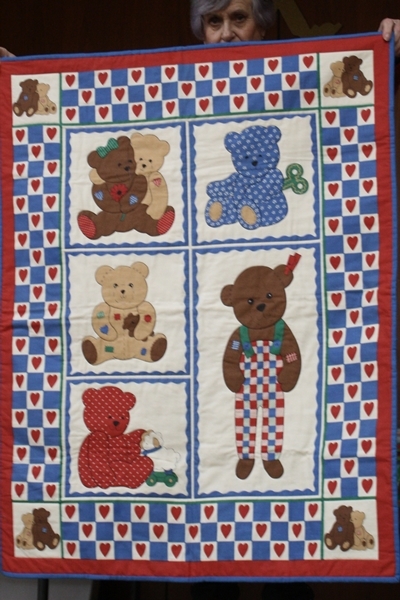 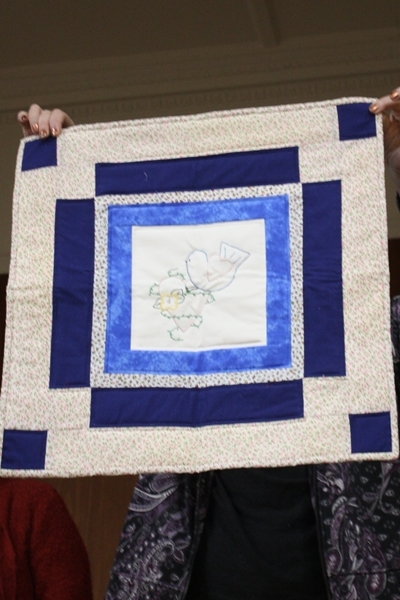 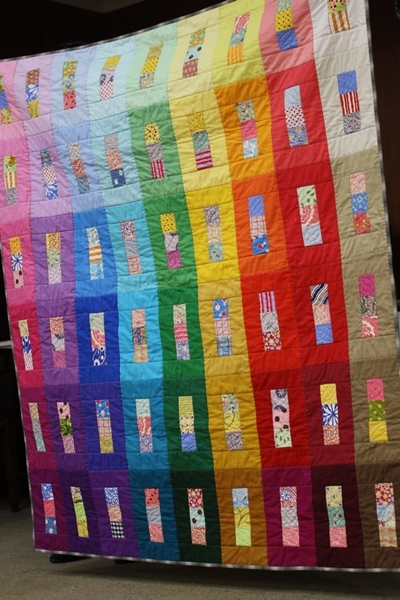 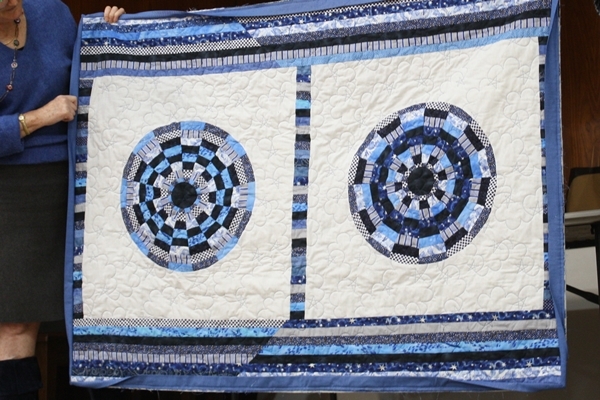 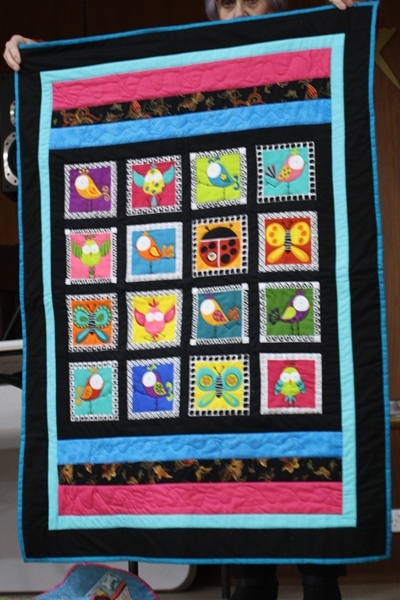 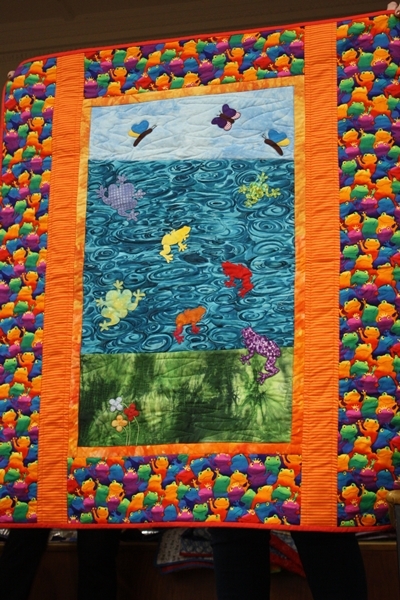 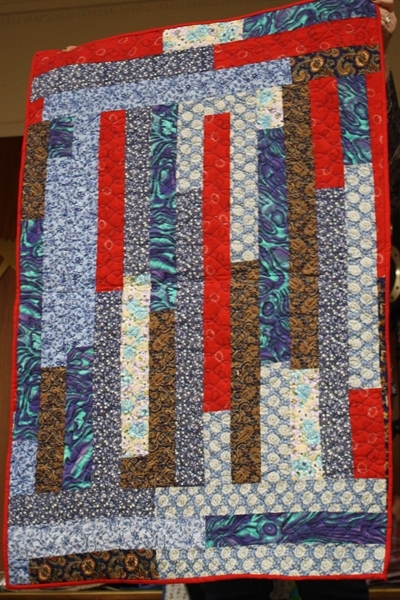 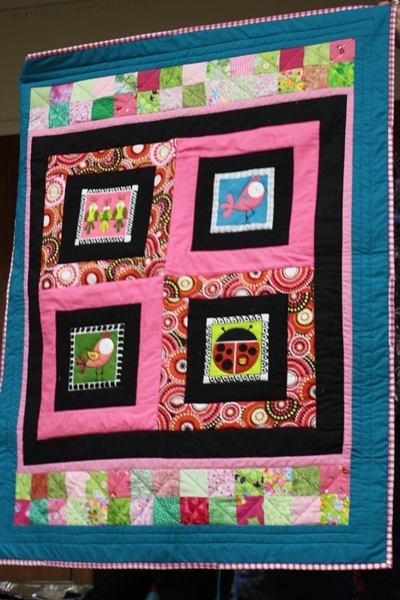 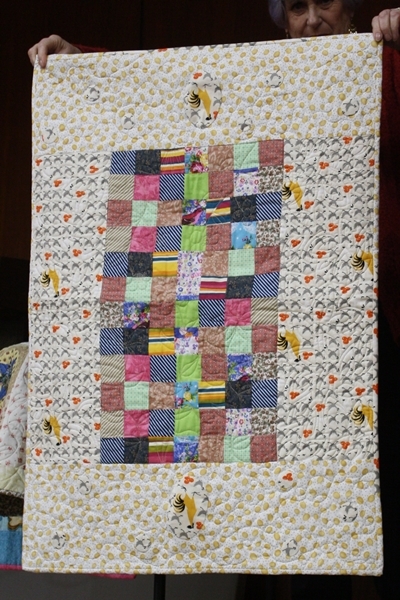 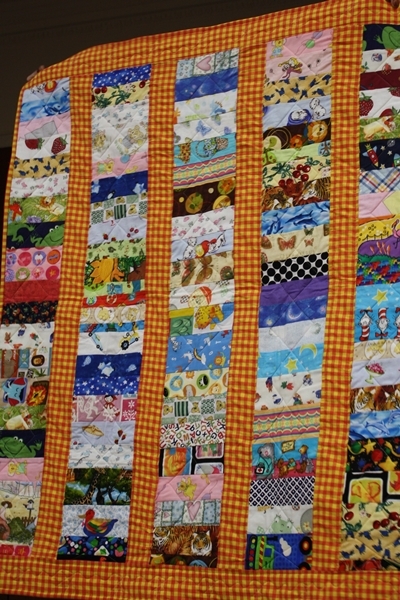 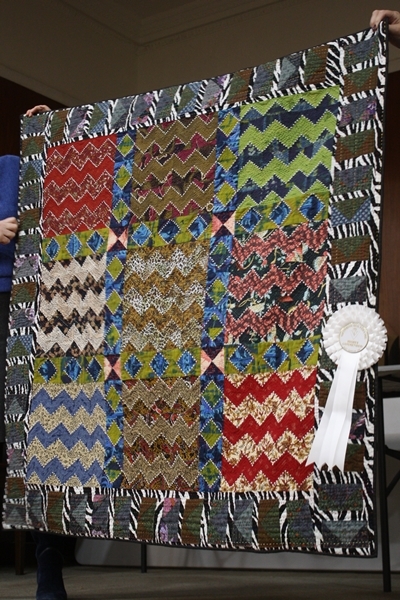 Caring and Sharing quilts displayed at the August meeting are shown in the gallery below.